Every year at the end of the summer you can read from the Estonian tabloids that this summer was the worst for traffic accidents. 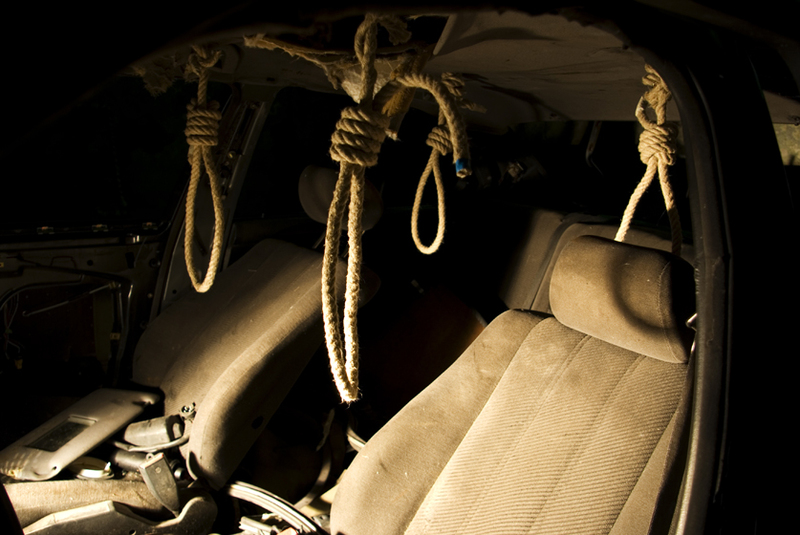 As every vehicle has to have the obligatory security measures, like the seat-belt and the air-bag, it could also have a hempen necktie in it - because if one wants to murder someone, they should start from themselves. 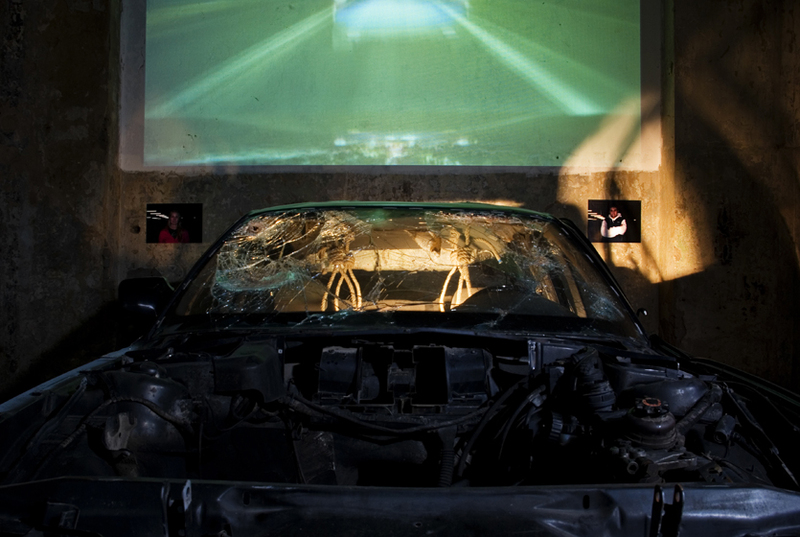 The installation consists of the wreck of one of the most popular cars in Estonia, a black BMW, a hempen necktie above every seat, a video and a sound in the car and photographs behind the car. The video shows the itinerary of a group of youngsters hanging around the nightly Tallinn, the sound letting us hear their conversation. 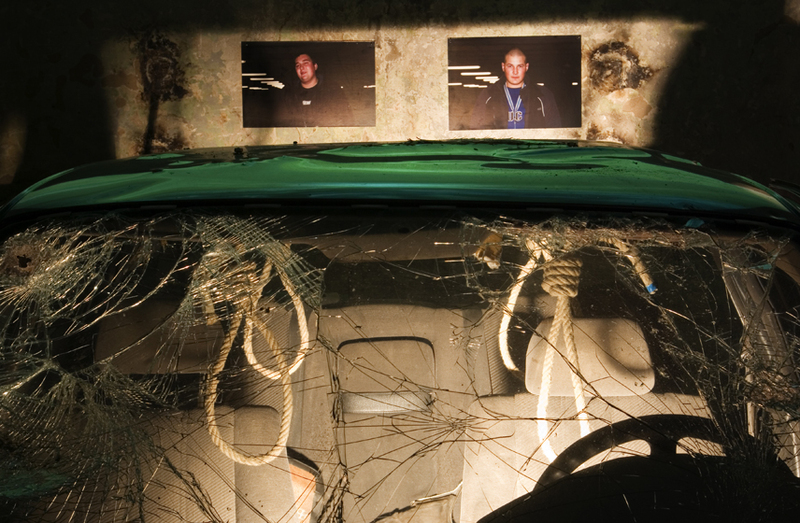 Have a nice drive!